Innovative programs of low-voltage electric motors with outputs up to 100 kW manufactures, associated in ZSE Praha concern (MEZ Mohelnice and MEZ Frenštát – currently SIEMENS plants) was the basic activity of original VUES Košice plant. 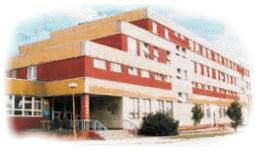 Based on the know-how of low-voltage motors the research and development institution was transformed into a development and manufacturing plant after 1989. From 1st July 1997 it became the private joint-stock company with current name. Now the manufacturing programme involves small lot and series production of special drives and generators specifically required by customers. Special emphasis are given to the reliability of the products at extremely high demands at operation. Our joint stock company was founded on 1st July 1997 in the premises of the former state owned Research and Development Institute of Electric Rotating Machines Brno, branch Košice, established in 1974. The branch was built up to serve as a research base to the concern ZSE (Heavy Current Engineering Works) Prague for the electric rotating machines with outputs up to 100 kW. Besides others, new ranges of asynchronous motors for MEZ (Moravian Electrical Engineering Works) Mohelnice and MEZ Frenštát (at the present time enterprises of the concern SIEMENS), motors for washing machines and refrigerators were developed. Also special motors were developed and manufactured in small series with an individual quality program as well as 400 Hz rotating frequency converters for generating sets to be used at airports and synchronous generators for mobile generating sets. Recently, a series production of lift motors, asynchronous servomotors for nuclear power station drives working under the reactor shield was introduced. This is why the manufacturing base features a closed cycle. It means that the manufacture and development of special motors can be materialized in the full extent, from the projection up to the type tests. The tool shop enables appropriate shearing, stamping and cutting tools, pressure moulds for Al-alloys casting, as well as single-purpose tools for both the internal and external users to be manufactured. The test shop of our company is listed among the members of the Association of Test Shops of the Slovak Republic. The entrepreneurial activity is focused on making use of the full potentiality of the company, that is why every effort is being made to get on the list of the state-announced development programs as well as to promote the cooperation with foreign entrepreneurial entities, first of all with Germany, Austria, states of the former Community of Independent States, Poland and Bulgaria. The aim is, through enhancement of organization and management activities, to acquire an internationally approved quality certificate as well as the statute of authorized state test shop.